Barack Obama’s misguided approach to Syria: The president’s strategy for confronting Bashar al-Assad’s chemical weapons has confused everyone. If your foreign policy has to be rescued by a dictator, you are doing it wrong. 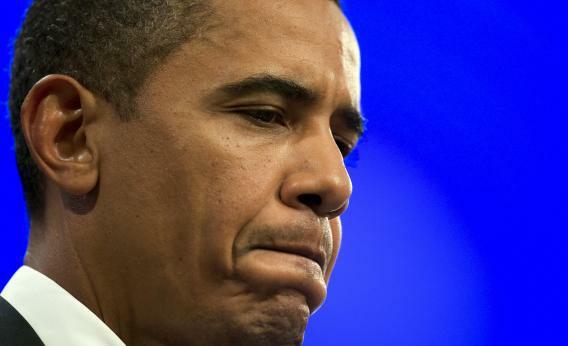 President Obama is either a master foreign-policy strategist or making it up as he goes along. Give President Obama credit: He has done such a good job of acting unpredictably in the lead-up to his proposed military strikes on Syria that no one knows what he will do next. He has successfully confused ally and enemy alike. Sun Tzu would be proud. But President Obama cannot take all the credit for sowing confusion. Secretary of State John Kerry also has the unique distinction of becoming the first chief American diplomat whose offhand quip at a press conference launched a last-minute, global diplomatic initiative to disarm a murderous dictator. Kerry never thought that he was making a bold bid to avert military strikes that his president’s party and public had no interest in supporting. He simply suggested that if Bashar al-Assad handed all of his chemical weapons over in a week, that might stave off an impending U.S. attack—and of course, Assad wasn’t going to do that. The State Department rushed forward to clarify that Kerry wasn’t floating an actual proposal—he was just speaking rhetorically. You know, riffing. To say that the Obama administration is freelancing when it comes to foreign policy is an insult to freelancers. Still, Vladimir Putin knows an opportunity when he sees it. The Kremlin pounced on Kerry’s diplomatic spitballing. So now, everyone—the French, the British, the Chinese, the Obama administration—is hoping that the Russians can craft a verifiable plan for Assad’s regime to hand over its chemical stockpile. For the West, a price can be exacted from Assad, while the dangerous unpredictability of military strikes can be avoided. Meanwhile, Russia and China can keep their man in Damascus. The sigh of relief from Capitol Hill was audible last night when Obama said that the Russian plan offered a potential breakthrough. Incredibly, Obama had turned to Congress to support his planned strikes—something presidents almost never do—when he didn’t have anything approaching a lock on the votes. It would have been a clever way of forcing Congress to share the blame for acting or not acting in Syria, if it weren’t for the fact that having his foreign policy neutered by Congress would be such a debilitating defeat. If the president thought his own party had his back, he was mistaken. No one believes that the House of Representatives (and maybe even the Senate) was going to sign off on the authorization of force in Syria. But Putin’s late-breaking gambit has prevented Democrats from having to eviscerate their own president’s foreign policy. Putin is providing President Obama political cover that even his own party wouldn’t supply. But if your foreign policy has to be rescued by a dictator, you are doing it wrong. That’s where President Obama finds himself today. Putin is providing Obama an out he couldn’t find for himself. Of course, Syria has not yet pledged to hand over its chemical weapons. If it does, it would truly be one of the happiest accidents of this entire episode. (Whatever the administration says about its threatened use of force, this outcome was unforeseen.) Never mind that the United States has no idea where Assad has squirreled away his chemical munitions. For now we will engage the likely fiction that Assad will self-disarm his most potent weapon for ensuring his future survival—the only thing a dictator craves—because it allows all sides to stand down. The argument will now turn to how credible the Russian plan truly is, whether any agreement can be backed by a future use of force, and whether Assad will comply. If Putin’s maneuver doesn’t pan out, Obama’s foreign policy will still likely fall victim to the vicissitudes of a dictator. Because one message is already clear in Damascus: The Obama administration will do everything in its power to do nothing at all. If Assad finds himself up against the wall, he will likely gas his fellow Syrians again. Maybe he will reduce the scale and scope, but it is doubtful that he will abandon the weapons. How will President Obama respond then? It is hard to say. Because no one knows what the president is doing. At least he has the element of surprise.